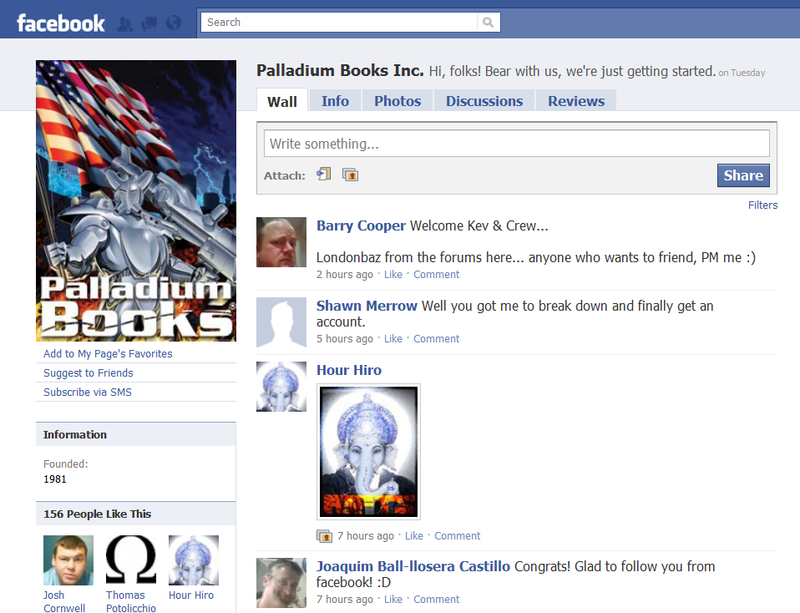 Launch the new and improved Palladium website (we are only a week or two away from doing so). Sooooo glad to see this happen. The current website looks to be 90's era design... we're way past needing an update. Do more with Facebook. Awesome! Utilize Twitter, Flickr and more. Twitter I could care less about... but putting artwork on Flickr that bloggers could link to would be awesome. YouTube videos. Yep, you can expect to see a video interview (along the lines of the podcasts) every week from me, Kevin Siembieda (probably starting in May or June sometime), and maybe additional interviews from artists and others. 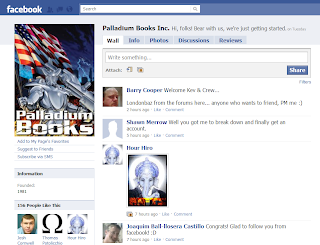 We are also kicking around the idea of doing an ongoing Palladium book review series hosted by Carmen Bellaire, and other good stuff. Cool, although I doubt I'll be a regular viewer. An increase in PDF and POD products. Crazy awesome... I want the newer books to be available on RPGNow. 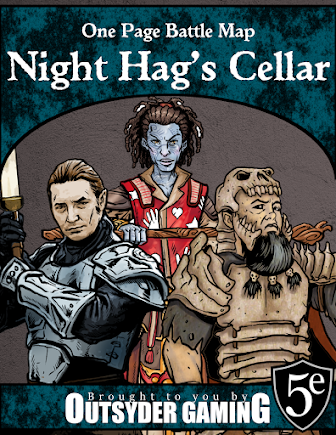 It is cool that you can get some of the older books in pdf format (especially the ones that are out of print), but I want new content, and I don't want to wait around for it to come in the mail (since no store around here sells Rifts books). E-books. I'm curious to see what he means by this since he already mentioned pdf products. Could he be referring to online-only supplements?